An appeal is a request for a higher court to review a lower court’s decision. In situations in which a party loses a case or is not happy with a decision that is made by the lower court, an appeal can be particularly helpful. The appeals court reviews the record that is made in the trial court. During this review, no new evidence will be added to the record. This is where an appeal differs substantially from a trial. Instead, an appeals lawyer will present the facts of the case as well as the applicable law to the appeals court. The appeals court will then determine whether to affirm or reverse the trial court’s decision. 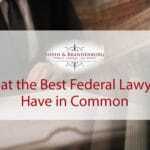 This article explains some of the additional information that is asked about how cases reach and navigate the appeals process. The “record on appeal” refers to all of the documents that appellate court requires to understand what happened in a case. This record will include all of the papers filed in the trial court as well as a transcript of the trial or the hearing. This record will then be filed in the appellate court. After the filing of the record on appeal, an appellate attorney will write a brief and file this document with the appellate court. The brief informs the appellate court about mistakes that might have occurred in your case. The brief will also request the appellate court to provide a resolution that might include a new trial or a new hearing. The opposing side will file an answer brief. A reply brief will also be filed. Once all of the briefs are filed, an appellate court will determine whether to schedule your case for oral argument. Your attorney will explain to the judge why you should receive a certain outcome in your case. The appellate attorney on the opposing side will then argue about why you should not receive this relief. After the oral argument period, the appellate court will file a written decision, which is referred to as an “opinion.” Sometimes, the writing of an opinion can take the appellate court several months. One of the most common questions asked by people navigating the appeal process is how long they can expect the appellate process to take. There are a number of different factors that influence how long an appeal will take including the time required by the court reporter to finish transcript, the length of the appeal record, and how long the appellate court takes to make a decision. If you need help making an appeal, you should not hesitate to obtain the help of an experienced attorney. 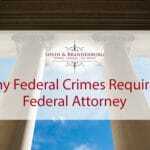 Contact the Federal Criminal Law Center today. Our attorneys have substantial experience helping individuals navigate the complex issues involved with appeals and is dedicated to fighting for the results you deserve. Click here to request a free case evaluation. This entry was posted in Federal Appeals and tagged Federal Appeals. Bookmark the permalink.